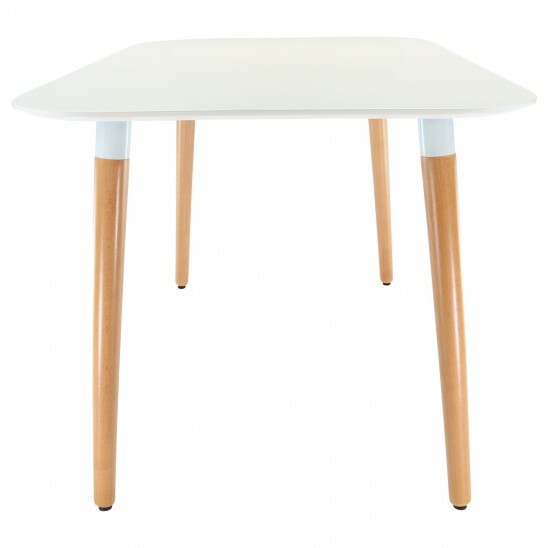 The Scandinavian spirit of this pearly white square table will bring softness to your interior. The top of the table has a white lacquer and the base is of solid beech. This table is ideal for small spaces as the square design will fit perfectly in the kitchen. It is a combination of design and practicality.